Learn to Run Without the Niggles! Are you sick and tired of injuries holding you back from running pain-free? The Gold Coast Running Clinic has you covered! The Gold Coast Running Clinic was created as a place for runners of all levels to call on when something’s just not right. Niggling injuries, poor training habits, inability to achieve goals, stride pattern difficulty, these are all issues that face most runners at some point in their lives. “I’ve been told I just shouldn’t run”. Doctors, Physio’s, Chiro’s, Podiatrists, etc. we’re all guilty of saying this. Any relatively healthy individual under the age of 65 with no serious pathology should be able to run. All it takes is a bit of time invested in learning the correct movement patterns or biomechanics, and a monitored progressive training program. If there’s an underlying issue preventing you from running, we will do everything in our power to address the issue and get those legs moving. Our running injury clinic exists to find out what YOU can do to get running again. Physiotherapy – To adequately assess and treat running injuries, your physio needs to able to identify the cause of the injury. Simply treating the symptoms will make you feel better, however the problem will return as soon as you recommence training. All our physio’s have experience in running assessment and injury management and could be considered ‘running physio’s’. For more info, see “Physio” section below. Injury Prevention – An increased awareness of what to look for and how to respond when little niggles start to appear can greatly decrease the incidence of running injuries. At the Gold Coast Running Clinic we organise free injury prevention information evenings where you can come along, learn about running injuries, ask a few questions and meet a few other runners. For more info, head to the “Injury Prevention” section below. 1 on 1 Learn to run – Anyone and everyone can run. With a bit of guidance and encouragement, you can start running simply for exercise to stay healthy, or to achieve a goal that may have been on your mind for a while. Our Gold Coast Running Clinic involves coaching and exercises that will start you on your way, or keep you on your way. At the Gold Coast Running Clinic, we believe that all running injuries can and should be avoided – all of them! Our main goal is to get more people out there enjoying the freedom of running whilst improving their health, injury free. The majority of running injuries fall into the overuse injury category. Overuse injuries occur when there is excessive load on tissue (bone, ligament, tendon, muscle) above and beyond its maximum capacity. This causes tissue breakdown, and pain. Sometimes people try to run through the pain, which basically means they are changing their movement pattern in an attempt to unload the painful area. More often than not, this simply increases the load on other areas, which then become painful! Each stride requires your legs to absorb up to four times your body weight on heel strike. This can be considered a high load. When you go for a long run, you’re exerting this load over 100+ strides, which can be considered a high frequency. If you’re not moving efficiently, it won’t be long before you enter the injury zone. The physiotherapy goals of injury treatment are to decrease pain and unload the area through manual treatments including deep tissue release, dry needling (acupuncture), and joint mobilisations. Stretching and strengthening exercises are then prescribed to make sure the benefits of the treatment are long-term and the underlying cause is corrected. The key to preventing the return of running injuries once they have been treated is education. We pride ourselves in teaching the injured runner about their injury – what the problem is, how it was caused, and how to prevent it’s return. 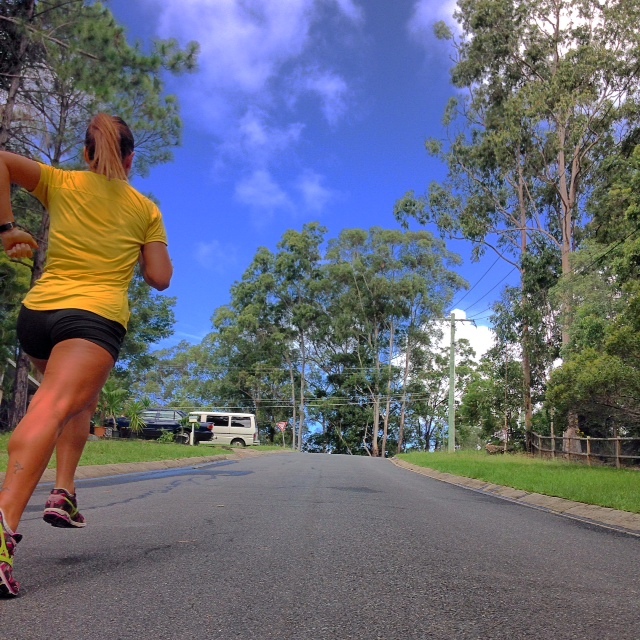 How is the Gold Coast Running Clinic different to other physio clinics? Running injury management is not simply a matter of finding the sore spot and treating it to reduce the pain. Effective running injury management requires the practitioner to have an understanding of the normal running gait pattern and be able to identify any flaws in this pattern resulting in injury. This requires a lot of experience in the assessment and treatment of lower limb injuries and knowledge of load transfer patterns whilst running. Through the use of a thorough history, injury trends, biomechanics and gait analysis, we will assess your running technique to get to the core of the problem. Poor running biomechanics result in uneven loading of the tissues with every step, resulting in certain areas fatiguing quicker than others. This not only results in an inefficient technique, but leads to injury. The vast majority of running injuries are classified as overuse injuries, meaning the action of running has overloaded a particular area, causing tissue damage and pain. The cause of the overload during the running action, or “stride pattern” is due to incorrect or inefficient alignment of the joints, timing of joint movement, and force generation by the muscles moving the joints. The physiotherapy goals of injury treatment are to decrease pain and unload the area through manual treatment, stretching and strengthening exercises. If the underlying biomechanical flaw is still present in the running stride pattern, the overload will return once running has recommenced and the either original injury will return, or another injury will emerge. In 2008, the post-Olympic performance analysis of the Australian team revealed the most common indicator of successful performance was consistent training without interruption from illness or injury. As a result injury prevention has become a focal point of all elite training programs. Why do injuries occur – an introduction to tissue loading. Run Gait – analysis of the running movements and when / how the injuries occur. Injury Management both short term and long term. Check out the GC Running Clinic Blog, or contact info@ferryrdphysio.com.au for more information. We encourage you to come in and learn about how to prevent injury from disrupting your training.